My only experience with the FATE tabletop RPG was wonderful. Granted we struggled with the system in a heap of ways, but the overall effect was brilliant as the mechanics shifted the game logic into some wonderful narrative directions. Then there is the simplified version, FATE Accelerated – FAE which pairs back some of the system while retaining the coolest pieces. While I havent played FAE yet (keen to do that though) – one of the tricks that reading the rules presents is having players roll their biggest stat all the time. That is largely because skills are replaced with Approaches which describe how you do something not your inherent skill a the task itself and this approach is what confers the roll bonus. So if you are a Flashy character and you can perform an action in a Flashy way then you get your +3 or whatever to the roll. Is this a problem or will players go with the story and feel of the game rather than the mechanics?? Rob Donoghue from Evil Hat Games has a nice post on this ‘Wrestling with FAE‘ where he posits some thoughts on how to adjust the engine to help. I was thinking last night that another approach might be to instil more flavour into the approaches themselves that enhances the double edged nature of many of the FAE Concepts. So rather than just Clever we have ‘Full Geek Out’. Then if a character is only being a somewhat careful then that’s just +1 rather than the full ‘Soooo Precise’ they might otherwise get. So Max +1 unless you go the all out on the approach. We were talking the other day about giving space for characters to interact with each other during the game itself. Often the ‘plot clock’ brings its pressure to the game, making incidental conversation or finding out about backstory elements a contested thing when there is some actual big problem or situation which requires the characters attention. Having everyone ok with taking time from the plot pressure to have a side conversation is tricky as it can feel like a distraction, though ultimately awesome. I note that this is really hard to force, having a spot in the game setup for characters to not follow the plot is a sure way for it to not really work out, it should feel natural. One side aspect of this is the etiquette around multiple conversations going at once. This happens often if the party gets split and some of the characters are discussing how they are going to deal with X while another character is doing something cool on their own. Should we all display enough interest in every player’s story to listen to the one conversation at a time or should we allow all these overlapping conversations to flourish – esp if they are all nicely in character?? Penny for Your Thoughts is very clever for such a simple thing – using some of these ideas in other games for character creation could be fun. I couldn’t resist ordering ‘It’s Not My Fault‘ already – even if it is just for inspiration. Built on the Apocalypse World engine, Masks look great, though I missed the Kickstarter. 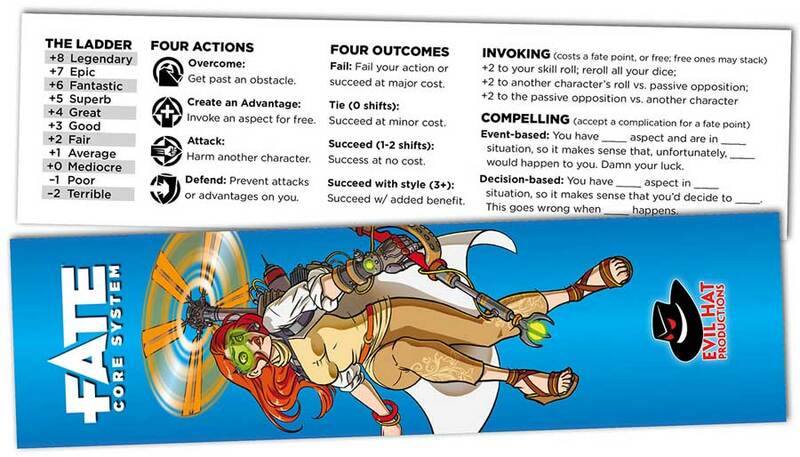 Then there is Cloud Dungeon which brings some ‘art’ to the tabletop RPG experience = sweet. Another Kickstarter is the English version of Shinobigami which looks dramatic. Last thing for today is Michtim, I like the idea of emotions being stats.